Situated in the context of urban Tehran, Exhibition as Editing Exercise by Nader Koochaki, has been a special project created for the Magic of Persia Contemporary Art Prize (MOP CAP) 2015 Winner’s Exhibition. 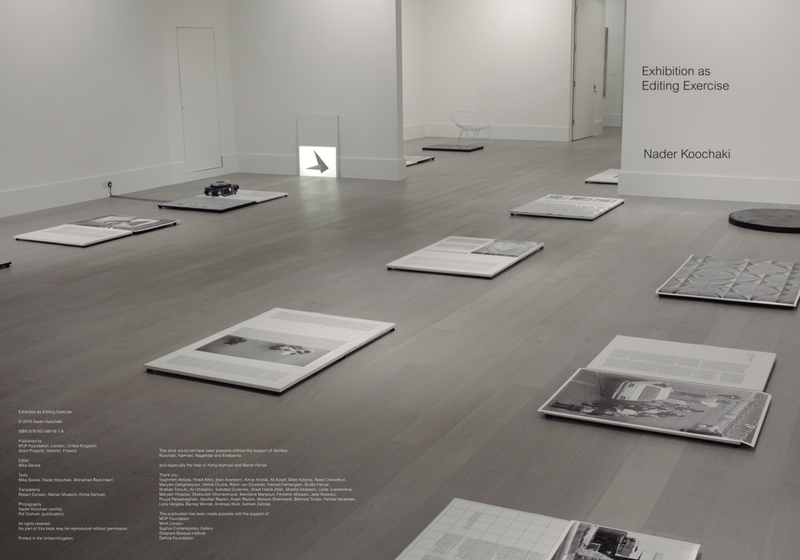 Resulting from an ongoing process of photography, travels, collecting, writing and discussions, this publication gathers for display the editorial yield of the eponymous exhibition, shown in November 2016 in London. For the publication launch, the year-long process and collaboration will be discussed and presented through the accounts from the artist Nader Koochaki, the project’s curator Mika Savela, as well as curator Fereshte Moosavi from the MOP Foundation. ما ممکن است که یک نشریه به همان اندازه از نمایش هنری استعلام از نمایشگاه می تواند به توافق برسند. با این حال، خطوط کار منجر به هر دو مورد نیز به طور جداگانه، شاید نتیجه نیز در مفهوم متفاوت تکمیل انجام شده ممکن است. چگونه ممکن است این فرمت تاسیس نمایندگی است rethought به عنوان روش برای تحقیق و یا انتشار به عنوان راه های curating، همکاری ویرایش برقراری ارتباط یا به سادگی، نگاه به آینده? واقع شده در بافت شهری تهران، نمایشگاه به عنوان ورزش ویرایش توسط نادر كوچكي شده است پروژه ویژه ایجاد شده برای نمایشگاه برنده 2015 سحر و جادو ایران معاصر هنر جایزه (MOP درپوش). ناشی از روند مداوم عکاسی، سفر، جمع آوری، نوشتن و بحث های این نشریه برای نمایش عملکرد سرمقاله نمایشگاه eponymous در نوامبر سال 2016 در لندن نشان داده شده جمع آوری است. برای راه اندازی نشریه سال روند و همکاری خواهد شد مورد بحث و معرفی شده از طریق حساب از هنرمند نادر كوچكي، پروژه متصدی میکا Savela و همچنین متصدی فرشته موسوی از بنیاد کف شوی. MOPCAP 2015 برنده جایزه شده است سخاوتمندانه با MHA لندن حمایت شده است. فضای نمایشگاه سخاوتمندانه توسط سوفیا گالری معاصر اهدا شده است. هنرمند اقامت و نشریه راه اندازی در همکاری با بنیاد Delfina است. برای مشاهده اطلاعیه مطبوعاتی اینجا را کلیک کنید. 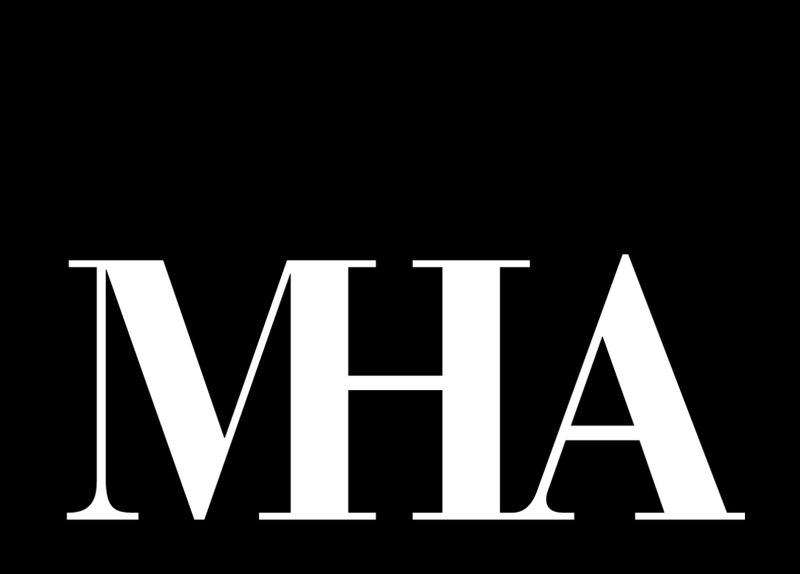 The MOPCAP 2015 Winner’s Award has been generously sponsored by MHA London. The exhibition space has been generously donated by the Sophia Contemporary Gallery. The artist residency and publication launch is in collaboration with the Delfina Foundation. This report is a way of getting back to you on the latest in this on-going project. We start with news from Tehran. Talking Asphalt – Interviews about the Road, the Drive and the Dark Matter was envisioned as series short talks and interviews with speakers representing a variety of professional and personal viewpoints, unified in some ways by asphalt. Thus, talking about asphalt instead of the background of the artistic work-in-progress, became a part of the research – and the work itself, extending into the life of urban Tehran. In this report, you’ll find a short review of the event and some further thoughts. Asphalt, or bitumen, is the viscous, black and sticky substance familiar to man since antiquity and a residual product of petrochemical processes. Mixed together with gravel, asphalt forms the ever-expanding surface for the modern world and its movements. From school yards to expressways, from smog-ridden cities to road trip getaways, from the glistening rainy sidewalks to speeding youngsters in the night, asphalt has become the omnipresent, dark matter that surrounds most necessities of our daily urban existence. While we project such visual, emotional and cultural narratives on the bitumen-paved roads and streets, we almost never discuss asphalt as a unifying substance, a common nominator for these observations. Talking Asphalt works as set of miniature interviews into the various aspects into the theme of asphalt in the urban culture of Tehran. With no preset agenda, we aim to learn from individuals engaged with the material itself, the forms of motorised movement, the road users and professionals, the observers of cultures it enables and the networks and urban spaces it is used to build. From traffic jams to hitting the Road 59, we remain curious as to where talk about asphalt may lead. While asphalt forms a significant material mass in cities, it mostly comes across as the utilitarian and banal urban surface. Jalal Mousavi is a specialist working in the petroleum technology industry,among other things, with asphalt. But what is asphalt exactly? Here, in addition to its technological meaning, we also think of asphalt as an abstraction, a dark matter. What is the history and science behind it, or where will the use of asphalt go in the future? With a selection of clips, film researcher Ali Gholipour will talk of the cultural and cinematic imprints of the Jade Chaloos, the Karaj dam and driving up to the North. We ask, can driving be considered a filmic experience? What significance have films had in the formation of the “North” – a wide-spread cultural reference for Tehranians? Hirad Amiri is an all-around expert in cars, their inner and external workings and their maneuvering – with extensive technical, economic and cultural knowledge related to vehicles. How does Tehran and its car culture appear in his line of work? Is there more to cars than meets the eye? In a city that is overrun by cars, what is the lure of driving: What is there to love? Can driving be a performance, a game or play? The event was organised by the MOP Foundation at the KNACK Art Group space, as part of the MOP CAP 2015 winner Nader Koochaki’s on-going project research. The discussion is co-moderated by the MOP CAP 2015 curator Mika Savela and Fereshte Moosavi. Nader Koochaki has been selected as the MOP CAP 2015 Winner! The announcement was made by Professor Andrew Patrizio, chair of the judging panel for 2015, at the MOP CAP 2015 VIP Dinner and Auction, held on 3rd October at Edge of Arabia Projects in London. Nader will receive a one-year mentorship with curator Mika Savela. This will result in a solo-project at a leading gallery space in London in Autumn 2016; as well as a three-month residency at the Delfina Foundation. A special thank you to the Judging Panel; Jananne Al-Ani, Dr. Sussan Babaie, Matthew Collings and Prof. Andrew Patrizio for their enthusiasm, dedication and expertise throughout the process. We would like to congratulate all of the MOP CAP 2015 Finalists for their hard work and dedication over the past six months! open from the 28th September – 3rd October at the EOA Projects space in London. We are grateful to Jananne Al-Ani, Dr. Sussan Babaie, Matthew Collings, and Professor Andrew Patrizio for their dedication and enthusiasm. We are extremely proud of all of the 2015 Shortlist Artists who made it this far.Make sure to visit the exhibition, which is open 17-20 March from12-6pm. Held in a residential villa, five minutes drive from Art Dubai at Madinat Jumeirah, the MOP CAP 2015 Shortlist Exhibition will feature artwork by 20 emerging Iranian artists identified from over 280 applicants through an online open call. Up to seven Finalists will be selected by the Judging Panel, comprised of leading figures from the Iranian and International art scenes. The 2015 judges are: Jananne Al-Ani, Artist, Dr. Sussan Babaie, Professor, Courtauld Institute of Art, Matthew Collings, Artist, Writer and Broadcaster, Professor Andrew Patrizio, Art Historian and Curator. Dr. Patrizio will act as the Chair of the 2015 Judging Panel. To view the 2015 Shortlist click here. The Judging Panel will meet in Dubai in March 2015 at the Shortlist Exhibition to deliberate on and select 5-7 finalists. The names of the finalists will be announced at the exhibition Private View on Monday 16 March. CURATE ARCHIVE is an online residency programme open to artists/curators/cultural practitioners across the globe, which aims to operate as a dialogical structure to enunciate possibilities and impossibilities of working with ‘archive’. Since the launch of MOP CAP in 2008, hundreds of portfolios submitted by Iranian artists have established a thought-provoking archive of artworks and text-based materials. As an on-going project, MOP CAP is generating new data every other year and expanding the archive excessively.Through CURATE ARCHIVE an artist/curator/writer/researcher will be appointed by MOP Foundation every four months, to reflect upon the existing MOP CAP archive of emerging Iranian artists, encouraging an open exchange of knowledge in the form of an online exhibition, including textual materials and weblogs. For more information on the open call and details on how to apply to the open call click here. CURATE آرشیو برنامه اقامت آنلاین برای هنرمندان/متصدی/فرهنگی پزشکان در سراسر جهان است که با هدف به عمل به عنوان یک ساختار dialogical به enunciate امکانات و impossibilities از کار کردن با "بایگانی" است. از پرتاب کلاه MOP در 2008 صدها اوراق بهادار ارسال شده توسط هنرمندان ایرانی بایگانی فکری از آثار هنری و مبتنی بر متن مواد تاسیس. به عنوان یک پروژه در حال کلاه MOP داده های جدید تولید سال و آرشیو به گسترش بیش از حد. از طریق آرشیو CURATE هنرمند/سرپرست/نویسنده/پژوهشگر توسط بنیاد پاک کردن هر چهار ماه بر آرشیو MOP درپوش موجود حال ظهور هنرمندان ایران تشویق تبادل باز دانش در قالب یک نمایشگاه آنلاین از جمله مواد متنی و وبلاگ ها منعکس کننده منصوب می شود. برای اطلاعات بیشتر در مورد تماس باز و اطلاعات بیشتر در مورد چگونگی اعمال به تماس باز اینجا را کلیک کنید. With text contributions in English and Farsi by Behnam Sadighi, an essay byDoreen Mende, and a conversation with Hamid Severi (on Skype). The graphic concept was conceived by Laure Giletti. The print edition is published by Motto Books. A special edition of THE REMINDER will be available at the launch. The publication is part of THE REMINDER project by Behnam Sadighi, conceived in the frame of the fellowship programme MOP CAP 2013 with an exhibition at The Showroom from September 8 – 13, 2014 and a residency Delfina Foundation in London. THE REMINDER is an attempt towards another look at the Facebook profile pictures of Iran’s youth. These pictures, usually taken as snapshots, seem to conceal the represented person as well as all of the elements that characterise them. What does a photograph tell us about the user’s proposal of a social space, articulated through a profile image, and what may it hide to protect its portrayed author? What does a photograph loose in the midst of the unaccountability of photographs in a social media platform? To explore these questions, Sadighi reconstructed eight of these profile portraits while meeting those portrayed in person at the locations where the pictures were taken. With investigative commitment, he includes the surrounding details in each photo in order to reproduce them in a large-scale with the help of a 4 × 5 view camera. This project, like a clue in an adventure, proposes the greater question of how to reconnect to our transformed identity within today’s digital age, and how not to reveal it. Because, here the revelation is like a reminder of loss. MOP Foundation is proud to announce the MOP CAP 2015 Shortlist selected by the three distinguished members of our Selection Committee: Shiva Balaghi, Professor and Historian, Dr. Hamid Keshmirshekan, Art Historian, Critic, and Editor, and Sohrab Mohebbi, Curator and Writer. CONGRATULATIONS TO THE MOP CAP 2015 SHORTLIST! From a strong and diverse group of 235 eligible applicants the Selection Committee deliberated over three days and arrived at this list of 20 artists. The shortlisted artists will be exhibiting in Dubai in March 2015. Click here to view the profiles of the 2015 Shortlist. MOP CAP 2013 Winner Behnam Sadighi’s work is founded in documentary photography. He develops his ideas through the phenomena of his surroundings caused by socio-political and cultural issues. The experiences that have the most powerful effects on Iranian lifestyle and relationships, particularly in urban environments. These changes in phenomena and self, play an integral role in reflecting his personal interpretation of life and living. Sadighi’s most recent project is an attempt towards an-other look at the Facebook profile pictures of Iran’s youth. Through a reconstruction of the portraits their authorship is lost in the midst of their innumerability. These pictures, usually taken as snapshots, seem to conceal the represented person as well as all of the elements that characterise them. Does such loss of the authorship and privation of representation occur because of the countless-ness of the photographs, or is it because their viewers are skimming through them so quickly? Is it caused by a desire in making and/or representing a different sort of being in a matter of seconds? Or, it is such way of doing, a remembrance of an existence that shares the untold and the hidden in a corner of time? 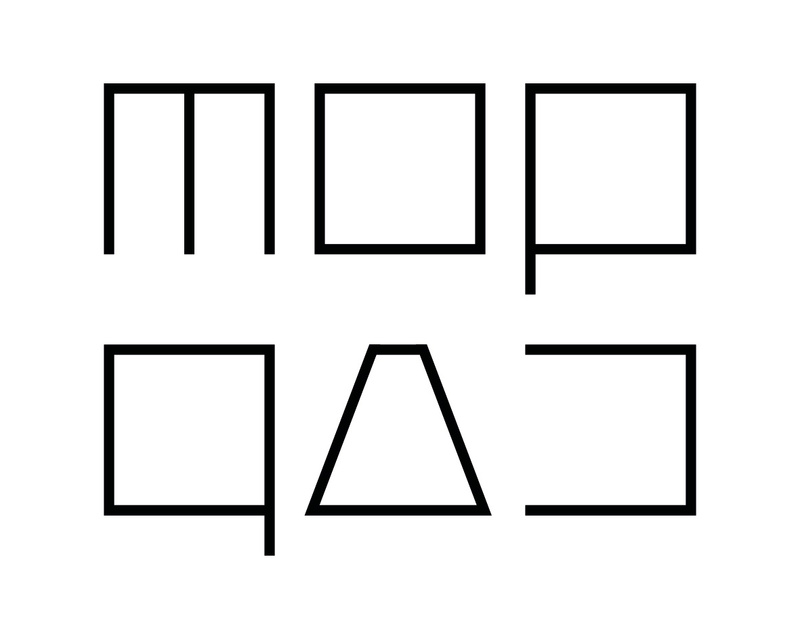 MOP CAP has welcomed Shiva Balaghi, Professor and Historian, Dr. Hamid Keshmirshekan, Art Historian, Critic, and Editor, and Sohrab Mohebbi, Curator and Writer to the Selection Committee for 2015. In October 2014 the Selection Committee will meet in London to review the profiles of all eligible applicants to the open call in order to compile a shortlist of up to 21 artists. The shortlist will then be announced on the MOP CAP website. The MOP CAP 2015 Open Call will take place on the MOP CAP website from 1-31 July 2014. For more information on the eligibility criteria, and required submission material, please click here. Behnam Sadighi has been announced as the MOP CAP 2013 Winner! In a speech given by Dr. Anthony Downey, Chair of the Judging Panel, at the Bridge of Persia Fundraising Auction in London, Behnam was awarded a year-long mentorship with curator and theorist Doreen Mende, as well as a three-month long residency at the Delfina Foundation. We would like to congratulate all of the MOP CAP 2013 Finalists for their hardwork and dedication over the past six months! For a period of 10 months Behnam will works closely with curator and theorist Doreen Mende to develop a new project, which will be exhibited in London in October 2014. A series of events, including but not limited to a curator’s talk and educational tours, will be organised by Doreen, Behnam and Magic of Persia. We are delighted to announce that curator and theorist Doreen Mende has been appointed as the MOP CAP 2013 Winner’s Curator and Mentor. Doreen will be working closely with the Winner for a period of 11 months during which time she will assist in the development and production of the Winner’s exhibition, taking place in October 2014. The MOP CAP 2013 Finalists’ Exhibition will once again be held at the Royal College of Art in London. Artwork by the 7 Finalists will be on public view from Tuesday 15 October through to Saturday 19 October 10am-7pm daily. The Winner of MOP CAP 2013 will be announced by Dr Anthony Downey, Chair of the MOP CAP 2013 Judging Panel, on Monday 14 October at the Royal College of Art on the occasion of Magic of Persia’s Fundraising Auction Gala entitled Bridge of Persia. The MOP CAP 2013 Finalists’ Exhibition, with work by all 7 Finalists, will open to the public the following day and a private view will be held that evening. The Magic of Persia Contemporary Art Prize (MOP CAP) is a worldwide search for the next generation of contemporary Iranian visual artists who have the potential to make a significant impact in their field. The MOP CAP 2013 Shortlist Exhibition will feature artwork by 19 emerging Iranian artists identified through an open call from over 450 applicants. MOP CAP 2013 Judging Panel: Philippa Adams, Senior Director of the Saatchi Gallery, London; Dr Ziba Ardalan, Founder, Director and Curator of Parasol Unit, London; Mat Collishaw, artist; Dr. Anthony Downey (Chair of the Judging Panel), Programme Director, MA Contemporary Art, Sotheby’s Institute, London; Irit Rogoff, Writer, Theorist and Professor of Visual Cultures, Goldsmith’s, London; and Payam Sharifi, Co-Founder of Slavs and Tatars. Panel members include: Zeina Arida, Director, Arab Image Foundation; Negar Azimi, writer and Senior Editor of Bidoun Projects; Dr. Anthony Downey, Director of the Masters Programme in Contemporary Art at Sotheby’s Institute of Art, & Editor, Ibraaz (moderator); Michael Rakowitz, Artist and Associate Professor at Northwestern University in Chicago ; and Payam Sharifi, Co-Founder of Slavs and Tatars. On Sunday 7 October 2012, Dr Anthony Downey, Chair of the MOP CAP 2013 Judging Panel, announced the names of the 19 shortlisted artists at the British Museum prior to a panel discussion entitled ‘An Introduction on Different Perspectives on Modern and Contemporary Iranian Art’, moderated by Vali Mahlouji. The MOP CAP 2013 Selection Committee, who spent three days in London deliberating on the Shortlist, participated on the panel discussion, where they presented their selection, and discussed the process, criteria, and challenges involved. 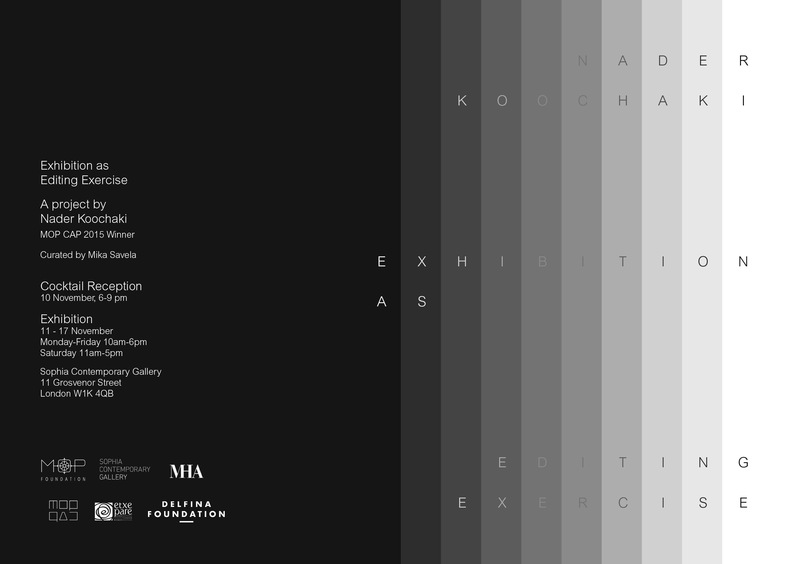 The Shortlist Exhibition will take place in Dubai, UAE from March 18 – 23, 2013. Each artist will show work that they submitted to the open call. The 2013 Judging Panel will meet in Dubai, at this time, to deliberate on the seven Finalists, whose names will be announced on Monday 18 March 2013. For her first solo exhibition in the UK, Sabahi presents a new series of works made out of, and about, obsessive attempts at making a film, solving a mathematical problem and speculating a love affair. These seemingly unrelated fragments come together in a sparse but evocative manifestation of the artist’s growing interest in the ways in which artefacts are fabricated. The exhibition gathers activities stuck in an infinite present, a cycle where communication is disrupted, doubt is looped and scheduled time passes without ever coming to an end. A total of four works in the exhibition includes a film installation, a series of drawings, a flipbook and film stills. The works are the result of tasks that are either predetermined or unknown, yet one wouldn’t reach the final if not through assigning oneself to an exhaustive and repetitive search, which may or may not be futile. Throughout the exhibition there will be a limited edition artist’s book numbered by the artist available for purchase. On Tuesday 25th September from 7pm- 8pm, Sabahi will be in conversation with curator Gabriela Salgado, talking about her practice as well as her forthcoming exhibition at the Saatchi Gallery. The talk will take place at the Delfina Foundation where she is currently artist-in-residence as part of MOP CAP Winner’s Prize 2011. Sabahi (b. 1984 Tehran) has exhibited at Platforma Revolver, Lisbon; Konsthall C, Stockholm; Aarhus Kunstbygning; 58th Oberhausen Short Film Festival and 7th Mercosul Biennial, Porto Alegre amongst others. The MOP CAP 2013 open call closed on Tuesday 31 July at 23:59. We have received a record number of applicants and we’d like to thank everyone who has applied! The Selection Committee will be deliberating on the Shortlist this October, and the names of the 21 shortlisted artists will be announced on Sunday 7 October. Following the announcement of the MOP CAP 2013 open call, we are delighted to release the names of the Selection Committee. Eligible entrants to the open call will be reviewed by members of the committee, who will select a Shortlist of 21 artists. For further information on the process of MOP CAP please click here. MOP CAP is pleased to announce an open call for 2013. Significant changes to the structure of the prize have been implemented and the nomination process of previous years has been replaced by an open call. Entry to the open call is open to young, emerging Iranian visual artists living in and outside of Iran. Submissions will only be accepted online from eligible entrants from 1st – 31st July 2012. For more information on the process of the Prize and to view the entry criteria please click here. The online application will be available on the MOP CAP website from 1 July, 2012. A very well attended exhibition of the MOP CAP 2011 Finalists’ works took place from 10th October 2011 at the Royal College of Art, London; culminating in an evening Private Preview on 15th October, including an auction conducted by Christie’s and the highly anticipated announcement of the Winner by the Chair of the Judging Panel, Ali Khadra. Shirin has been awarded a solo-exhibition in an exhibition space at the Saatchi Gallery, London during Frieze Week 2012. This prestigious prize has been generously sponsored by Farbod Dowlatshahi. The MOP CAP 2011 Runner Up is Shahrzad Changalvaee, who has been awarded a residency at the Delfina Foundation in Summer 2012. Magic of Persia is also pleased to inform you that in recognition of his notable contribution to contemporary Iranian Art, MOP CAP 2013 will be named after the incredibly talented artist, Farhad Moshiri. The eight MOP CAP 2011 Finalists will be exhibiting new works at the Royal College of Art (RCA) from Monday 10 October – Saturday 15 October. The exhibition will be open to the public from 10am – 8pm. Following a deliberation by the judging panel the Winner of MOP CAP 2011 will be announced on Saturday 15 October by Ali Khadra, Chair of the MOP CAP judging panel. On the 12th and 13th March, the MOP CAP 2011 judging panel met at Traffic, Dubai to deliberate on the finalists. The esteemed judges included: Zaha Hadid, Ramin and Rokni Haerizadeh, Shirazeh Houshiary, Ali Khadra, Idris Khan, Abaseh Mirvali, Mohammad Mottahedan and Hans Urich Obrist. Of the 24 Shortliested artists, 8 Finalists were selected including: Niyaz Azadikhah, Shahrzad Changalvaee, Mehdi Farhadian, Arash Fayez, Babak Golkar, Daruish Nehdaran, Hesam Rahmanian, and Shirin Sabahi. Following a panel discussion, chaired by Ali Khadra on 14th March, the finalists were announced. The discussion, entitled ‘Cultural Brojering: Locational Allegiance and Transnational Identity’ was led by writer/curator, Vali Mahlouji. The MOP CAP 2011 Shortlist Exhibition was inaugurated by HE Sheikh Nahayan bin Mubarak Al Nahayan and was extremeley well received, with many Shortlisted artists in attendance. This March Traffic, Dubai, will generously host the MOP CAP 2011 Shortlist Exhibition. A selection of works from the shortlisted artists will be exhibited from Tuesday 15 March to Saturday 19 March at Traffic in Al Quoz. The exhibition follows the MOP CAP 2011 Judges’ deliberation on the 5 – 10 finalists whose names will be announced on Monday 14 March. A panel discussion, ‘Cultural Brokering: Locational Allegiance and Transnational Identity’, led by Vali Mahlouji, will take place prior to the Private View with the participation of Ali Khadra, Abaseh Mirvali, Mohammad Mottahedan, and Hans Ulrich Obrist. The panel will look at the strenghts and limitations of cultural infrastructure in the empowerment of intellectuals and social groups in the development and dissemination of culure, in organising effective and efficient roles for them in their own societies to make sense of history, map and influence contemporary forces at play and steer the particularities on local historical conditions in confronting globalisation. For more information on the MOP CAP 2011 Shortlist Exhibition please contact Alexandra Terry at info@mopcap.com. Traffic is dedicated to the development of contemporary art and ideas. Through its varied initiatives it aims to increase understanding and appreciation for art within the national and global audiences it serves. It does so by providing a venue for constant learning and experimentation, holding stimulating exhibition that push the boundaries of curatorial practice in the Middle East, and providing a platform for dialogue and education. The MOP CAP 2011 Shortlist was announced by Ali Khadra, the Chair of the Judging Panel, at the Magical Nights Fundraising Auction Gala at the Yas Hotel in Abu Dhabi on 6 November 2010. The 25 artists, selected online by the Judging Panel, will have a selection of their works exhibited in Dubai in March 2011 where the judges will choose the 5 – 10 finalists. Mahmoud Bakhshi, the Winner of the Magic of Persia Contemporary Art Prize 2009, will exhibit at the Saatchi Gallery from September 27 – October 10 2010. The private view on Tuesday September 28th was a great success, with over 400 people in attendance. Exhibition sponsored by Vontobel and Delwood. We are thrilled to announce that Ali Khadra, Publisher and Editor in Chief, Canvas Magazine, has been appointed as the Chair of the MOP CAP 2011 Judging Panel. MOP CAP is delighted to announce the 2011 Panel of Judges. This group of internationally esteemed experts in the fields of art and design include Zaha Hadid, Ramin and Rokni Haerizadeh, Shirazeh Houshiary, Ali Khadra, Idris Khan, Abaseh Mirvali, Mohammad Mottahedan, and Hans Ulrich Obrist. The MOP CAP 2011 panel of nominators begin nominating artists online. As the winner of MOP CAP 2009 Mahmoud Bakhshi Moakhar will exhibit new works in an exhibition space at the Saatchi Gallery, London, from Monday the 27th of September through Sunday the 10th of October 2010. The winner of MOPCAP 2009 is Mahmoud Bakhshi Moakhar. The winner was announced by Sheena Wagstaff at the Royal College of Art on the 17th of October, following the Christie’s auction of the Finalists’ works. The MOP CAP Winner will be awarded a solo show at the Saatchi Gallery in Autumn 2010. The Saatchi Gallery aims to provide a forum for contemporary art from around the world, presenting work by largely unseen young artists whose work has been rarely or never exhibited in the UK. This will be a fantastic opportunity for the MOP CAP Winner to be exposed to the international audience of the London art scene. Many artists showing at the Saatchi Gallery are unknown when first exhibited, not only to the general public but also to the commercial art world. Many of these artists are subsequently offered shows by galleries and museums internationally. In this effect, Magic of Persia and the Saatchi Gallery also operate as a springboard for young artists to launch their careers. This exhibition has been made possible by the support of the Saatchi Gallery, the continuous patronage of our established Iranian artists and most notably the generosity of Mr Farbod Dowlatshahi, a Trustee of Magic of Persia. Magic of Persia is presenting a pioneering exhibition of video work by 14 Iranian artists, in the RCA’s Henry Moore Gallery. Curated by Dr Sami Azar, former director of the Tehran Museum of Contemporary Art, the show is the first time that contemporary Iranian video artists have been shown on such a scale in London. Established names such as Farideh Lashai and Avish Khebrezadeh, will be displayed alongside emerging video artists, providing a rare opportunity to view the diversity of current Iranian video art. “Facts and Illusions” will be launched with a champagne breakfast, as part of the Frieze VIP programme, at the RCA 10am – 12pm on Thursday 15th October 2009. The exhibition will conclude with a private cocktail party on Saturday 17th October 2009, 6pm – 9pm at the RCA. The artists’ works will be on sale with 50% of the proceeds being donated to Magic of Persia’s art and education initiatives. Six young Iranian artists are preparing for a major exhibition of their work at the Royal College of Art, London, 15- 17th October 2009. A distinguished international jury, led by Sheena Wagstaff, Chief Curator at Tate Modern, has shortlisted each of them for finalists’ exhibition of the Magic of Persia Contemporary Art Prize. Artistic enterprise has long been integral to Iranian society and Contemporary art has become a vehicle for expression for a number of young Iranians. Their artistic innovation is a bright light for Iranian culture and has helped bridge divides with the West. In recognising and showcasing the strength of these works, the artists will present an image of Iran that speaks of a deep rooted artistic heritage. Presented by Magic of Persia, the London based charity, in collaboration with the London and Tehran- based cultural consultancy Candlestar, the exhibition presents the six finalists of the Magic of Persia Contemporary Art Prize (MOP CAP). This is the first global award to recognise the talent of emerging Iranian artists. To ensure the highest possible quality of submission, entry was solely by nomination. Forty seven leading experts drawn from within the Iranian and international arts communities acted as nominators for the award. Nominators used their specialist knowledge to identify emerging artists that represent the diversity and vitality of the contemporary Iranian art scene. They put forward over 120 artists who, in turn, submitted over 500 artworks across four categories: Painting, Photography, Sculpture and New Media. The finalists exhibition will take place at the Royal College of Art in London from 15-17 October 2009 with the announcement of the MOP CAP winner on Saturday 17 October 2009. Following the declaration of the winner the works of the finalists will be auctioned by Christie’s with half of the proceeds going to the artists and half to support the artists’ residency programme established by the Magic of Persia. At Magic of Persia’s Dubai Gala on 11th April 2009, six Finalists were announced for the Magic of Persia Contemporary Art Prize (MOP CAP) by the chair of the international Jury, Sheena Wagstaff, Chief Curator of Tate Modern in London. For the 2009 Prize, over 500 images of artwork were submitted across four categories: painting, photography, sculpture and new media. Entry to the Prize is by nomination by a panel of 47 experts in contemporary Iranian art and culture from around the world. The first judging panel of internationally recognised experts of MOP CAP is delighted to announce the initial 2009 Shortlist. From an exceptional field of over 100 emerging contemporary Iranian artists nominated for the prize, the judges have shortlisted 34 whose works are of outstanding artistic merit and represent all fields of visual arts. Each of the artists will now be invited to show their work in Dubai where the first panel of judges will review the shortlisted artworks. The finalists will be announced at Magic of Persia’s second fundraising gala and auction of Iranian contemporary art in April 2009, and will be invited to show their work in October 17th 2009 at the Royal College of Art in London, timed to coincide with the opening of the 2009 Frieze Art Fair. An international nomination panel made up of contemporary art experts will compile a list of nominees by November 15. A jury will then draw up a shortlist, which will be announced at a fund-raising auction gala in April 2009. This year’s jury includes such notables as Julia Peyton-Jones, Director of the Serpentine; Venetia Porter, Curator of Islamic Collections at the British Museum, and Sheena Wagstaff, the Chief Curator of Tate Modern. MOP CAP, the first international Prize for contemporary Iranian art, was launched on 11 September with an evening reception hosted by collectors Fatima and Eskandar Maleki. Set against a backdrop of old masters and contemporary artists, the event attracted almost 200 guests from the London and international art and business communities, confirming that the MOPCAP is fast becoming recognised as a major new prize. Shirley Elghanian, Chairman of Magic of Persia, delivered a speech at the event to thank everyone for their enthusiasm towards the project and to encourage their continued support so that MOP CAP can become a preeminent contemporary art prize. Still in its early days, MOP CAP has confirmed more than 20 art and culture experts who have agreed to act as nominators to ensure that the best emerging Iranian artists will enter and contribute to the success of prize. An extraordinary list of distinguished individuals has joined the international Jury of the prize. Abbas Kiarostami, YZ Kami, Rose Issa, Kamran Diba and Julia Peyton-Jones are a selection of the outstanding members of the international arts community who will act as MOP CAP judges in its first edition. The huge success of the launch paves a bright future for the Magic Of Persia Contemporary Art Prize.